The Open Connectivity Foundation is comprised of several work groups and associated task groups. This is where the day-to-day work of the organization is done under the overall direction and strategic leadership of the three Steering Committees and the Board of Directors. Please see below for a summary of the groups and their responsibilities. The purpose of the Operations Management Steering Committee (OMSC) is to empower decisions that involve aspects of the entire OCF organization to be made by the membership without recourse to the Board of Directors. The Business Steering Committee (BSC) exists to help prioritize, align and advise OCF’s marketing, strategy and membership agenda, and deliver process and structure to the organization. The BSC also ensures tighter coupling with key members, the Technical Steering Committee, and the Board of Directors. 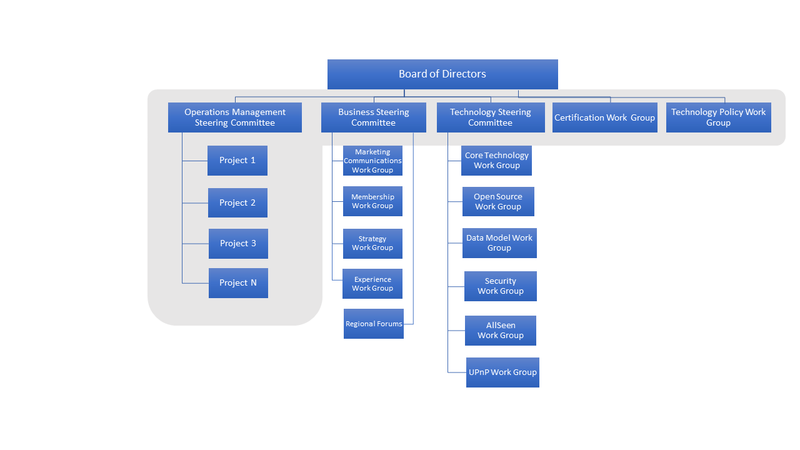 The Technology Steering Committee (TSC) exists to help facilitate inter-work group communication, coordination, and technical alignment among the following Work Groups: Core Technology, Open Source, Data Model, Security, and UPnP. The Certification Work Group identifies, specifies, and maintains the necessary policies, test tools, and infrastructure to validate that devices correctly implement OCF specifications, in support of the certification logo program. The Core Technology Work Group develops and maintains the OCF Specification, which is created with input from member companies. This group is responsible for approving specifications for submission to the Board of Directors. In addition to developing the OCF Specification, this group also provides technical issue resolution, maintenance of the OCF Specification, and proposes test cases. The Data Model Work Group is responsible for developing, releasing, owning and maintaining the oneIoTa data modeling tool. The Experience Work Group ensures a consistent, user-centered experience across all of the specifications, definitions, policies, and deliverables defined and created by OCF. The Experience Work Group enables manufacturers and service providers to quickly and easily create innovative solutions that improve users' personal and professional lives. The Marketing Communications Work Group is the marketing communications, public and member relations arm of OCF. 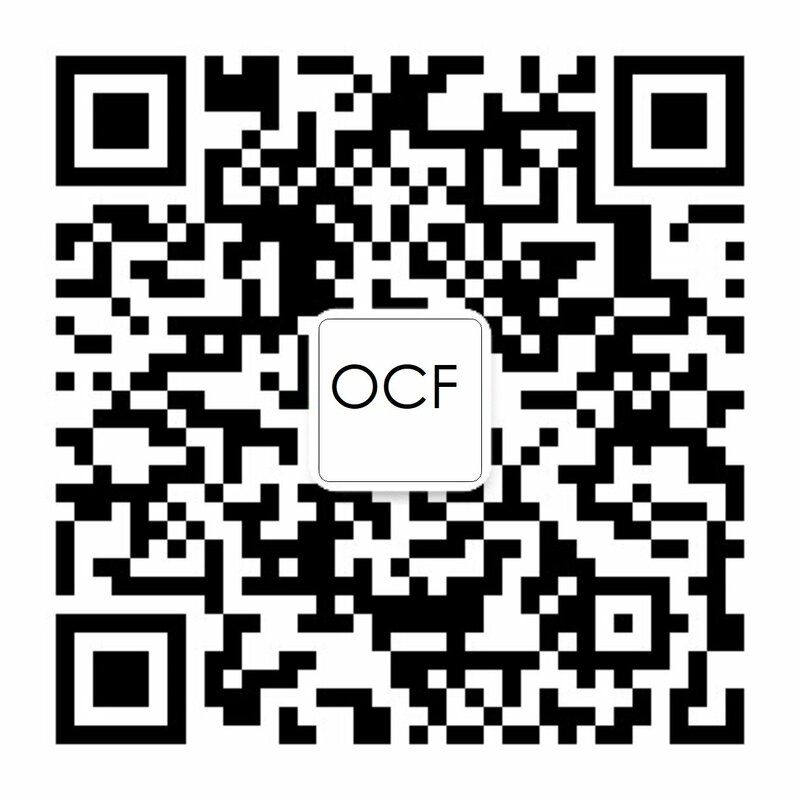 They establish the marketing strategy for OCF, and then execute that strategy through several tasks groups that handle specific areas such as Events, Digital Media, Public Relations, Web Content, and Branding. The team also maintains and provides OCF resources for member-company spokespersons. The Membership Work Group helps recruit new OCF members who are implementing the technology and certifying their products. Members are able to provide input and resources that contribute to the creation of a specification and an open source implementation to meet the requirements of IoT verticals. The Open Source Work Group oversees the development of IoTivity source code, which implements the OCF standard and specification. The Open Source Work Group collaborates closely with its counterparts on the IoTivity Steering Group, an independent open source project sponsored by OCF and hosted at the Linux Foundation, to maintain the health of the development community and identify release candidates that correspond to the OCF released specifications. The Security Work Group defines appropriate security framework for each technology and solution defined by the Standards Work Group, Core Framework Task Group, and vertical Task Groups if required. The Security Work Group provides the Standards Work Group and the Task Groups with guidance on the security implications of technology choices that these groups are discussing. The Strategy Work Group proposes and maintains priorities and roadmaps based on OCF objectives and IoT market trends. The group works closely with the Board of Directors, as well as the CTWG and OSWG, to ensure synergy and tight alignment. The team performs market analysis on IoT trends to make sure that OCF is meeting current and future customer needs, and also creates prioritized market-driven use cases and user scenarios. The Strategy Work Group also oversees the OCF Liaison program to help identify and promote industry collaboration opportunities. The Technology Policy Work Group mitigates the substantial risk to OCF posed by a rapidly evolving global regulatory environment related to IoT, by developing and managing an outward-facing OCF public policy strategy as well as by monitoring and interpreting policy developments relevant to IoT for the Board, steering committees, and work groups. The UPnP Work Group ensures UPnP specifications, web sites and certification program and tools are enhanced, maintained and effectively integrated with the overall OCF Specifications and certification program.